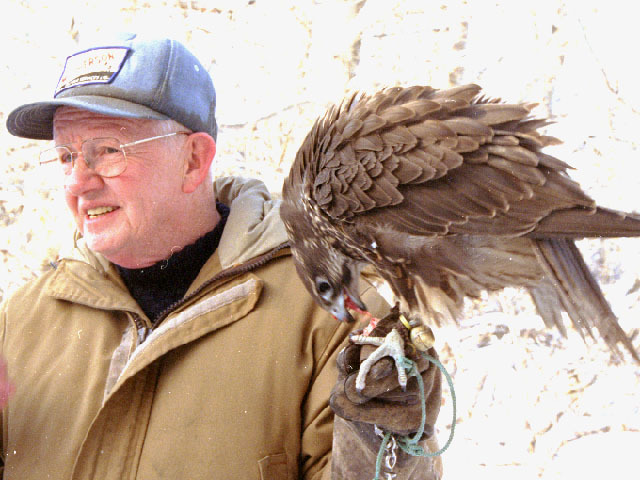 Richard in the 1990’s with a hybrid prairie-gyrfalcon he raised. Internationally-known conservation hero and Wildlife Preservation Canada honourary director Richard Fyfe has died. Fyfe was awarded the Order of Canada in 2000 for his pioneering work in saving the peregrine falcon from extinction through captive breeding and reintroduction in the 1970’s. At that time, such methods were often viewed with considerable scepticism, and Fyfe actually endured persecution from individuals who suspected his motives. In the 1980’s, Fyfe served as scientific advisor to Wildlife Preservation Canada and helped develop the “Canada’s New Noah” training program. Seeing the need for Canadian conservation biologists with training in hands-on species recovery techniques, he helped develop a program which combined classroom scientific training with practical experience in the field. Prior to initiating the program, he spent time at the Durrell Wildlife Conservation Trust’s training centre at Jersey as well as the fieldwork sites in Mauritius, in order to ensure the quality of the program and develop the criteria for the candidates. Fyfe then served for several years on the selection committee which annually chose one “Canada’s New Noah” to undergo the program. He was later named an Honourary Director of Wildlife Preservation Canada in recognition of his contributions to the organization. 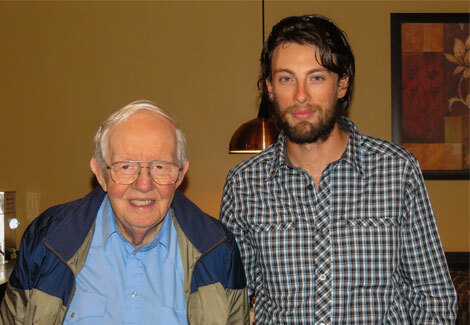 Richard with Myles Lamont, the 24th Canada’s New Noah, in 2014. In 2017, Wildlife Preservation Canada sent its 28th Canada’s New Noah to Mauritius. 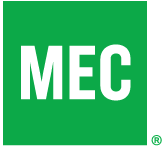 The program, which typically attracts dozens of applicants, has seen graduates go on to conservation leadership positions at the United Nations, Canadian Wildlife Service, Parks Canada, the Calgary and Bronx zoos, and other notable organizations. A native of Kindersley, Saskatchewan, Fyfe retired from the Canadian Wildlife Service in 1987. After retiring, he worked as an environmental consultant, volunteered with a number of conservation organizations in addition to Wildlife Preservation Canada, and with his wife Lorraine co-produced a series of educational wildlife videos which received widespread placement in public schools.